After the earthquake, infrastructure such as transportation and communications networks, electricity, gas, and water were paralyzed, revealing that the safety and reassurance that we had taken for granted up until then were not a given. We learned that safety and reassurance were things that we had to protect ourselves. If the industrial foundation is shaken, the economy is also shaken. If the economic base is shaken, companies cannot keep going and employment cannot be guaranteed. This would result in the destruction of the daily living that we take for granted. Taking measures to prevent such a worst-case scenario is earthquake reconstruction support from the viewpoint of commercial science. Relief money is of course necessary as a stopgap measure, but it is necessary to heal the economy of disaster-stricken areas so that disaster victims can ultimately live without relief money. However, the economy is not something that stands alone in a certain community; the movement of goods and money through the connection of communities with other communities is what invigorates the economy. Reconnecting communities that have become segmentalized is the key to revitalizing the economy of disaster areas. In this regard, I thought that regional cooperation, which is my research theme, and methodologies developed through field work for the Regional Cooperation seminar could be utilized. On June 5, the Meiji University Earthquake Reconstruction Support Center opened the Urayasu Volunteer Work Base in Urayasu City. Urayasu, with its ease of access to central Tokyo and rich tourist resources such as Tokyo Disneyland, is one of Japan’s wealthiest cities. This is an area which symbolizes economic disparity between communities—communities with money attracting even more money while communities without money are hemorrhaging more money. Up until now, this disparity could not be resolved at all. Due to the Great East Japan Earthquake, Urayasu suffered from liquefaction over a widespread area. Many people suffered from it and the price of real estate plummeted. Urayasu is also a disaster area. Disaster victims sympathize with other disaster victims. This is an important point. People will not move on theory alone—sympathy is important. That is why we thought to connect Urayasu with disaster areas in the Tohoku region. Disaster areas in the Tohoku region and Urayasu could help one another. I believe that communities with their respective problems connecting and cooperating with each other will generate synergy, thus promoting reconstruction. 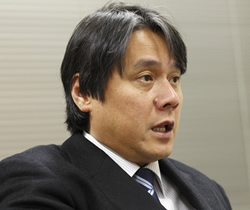 As a specific example of activities, there is the Tohoku disaster region support market. 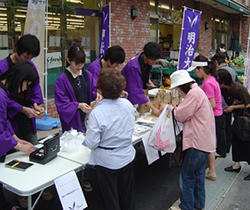 This is an activity in which local produce and processed goods from Fukushima, Iwate, and Miyagi are sold in Urayasu. Additionally, the Urayasu Volunteer Work Base is also connected to a volunteer center at Fukushima University. 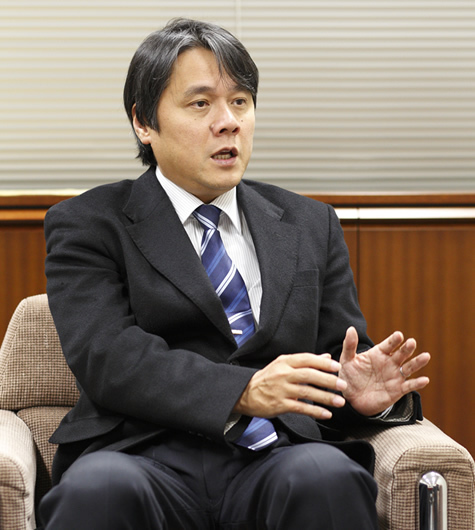 Fukushima University is taking the lead in creating a network of universities in Fukushima and they are actively engaging in efforts for reconstruction. The Urayasu Volunteer Work Base has been opened for use by students of Fukushima University, and there is mutual exchange in which students sell local products from Fukushima, and conversely, take products from Tokyo to sell in Fukushima. I hope to expedite procedures for the agreements as well as to conduct questionnaires targeting disaster victims within this fiscal year and continue monitoring as part of an original program of the university. The platform should serve to draw out the various needs of the local areas, share information with experts in various fields at the university, provide support efficiently, and spread information widely throughout the world with cooperation from the mass media. After all, right now disaster victims are leaving the disaster areas. That creates a difficult situation in which to discuss reconstruction or urban development, or even to make plans. Even for plans to relocate to higher ground, final decisions have yet to be made. That is why in Minamisanriku Town, I proposed that we create reconstruction charts for disaster victim support, recording what kind of damage each disaster victim has sustained, what kind of reconstruction they are aiming for, and what kind of support they are receiving. Efforts to further aggregate these charts by settlement to create reconstruction charts for settlement support are now underway. 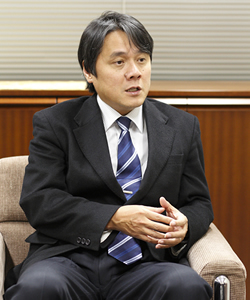 Meiji University’s efforts for reconstruction are not limited to the hardware side. We also engage in human support. More than anything, a university’s greatest asset is the young power of its students. On April 1, 2011, the Ministry of Education, Culture, Sports, Science and Technology (MEXT) issued an instruction to all universities to recognize volunteer work as course credit. While universities that are actually putting this into practice are still limited, Meiji University immediately acknowledged volunteer work as an official course credit for students in all of its schools. Students, after attending preliminary training classes, engage in volunteer work at the Urayasu Volunteer Activity Base. 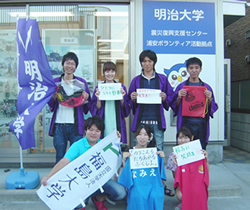 Those who are interested can also go to a volunteer center in Ofunato City, Iwate Prefecture to work as volunteers. Later, follow-up classes are held for students to look back on their activities. It is a system that allows talented students to systematically and continuously participate in volunteer work. Students do not simply lend their physical power. They apply what they are learning in their respective majors for reconstruction support and analyze the results of their activities to improve them through their own efforts. Such experiences also help students to grow. They apply what they learn in school to real life situations and learn in the field. A university that is useful to society—I believe that this is the true value of a university. In Urayasu, schools shut down temporarily due to the earthquake. In order to catch up on delayed school work, we also held junior high school learning support classes to teach junior high school students on Saturdays and Sundays. Thereafter, those junior high school students started to come to help sell products at the disaster area support market. It turned into a model case for involving a community in responding to the needs of other communities. It has been said for some time that community ties are becoming weaker, but we cannot let this go unchanged. I hope that we can overcome this disaster and recreate communities in a 21st century-style. However, this cannot be achieved by the government and companies alone; this would generate vested interests and in many cases, conflicts. I believe that universities, which are ideally positioned to be trusted by residents, can play a major role in such an endeavor.